New to the local area – If the siding contractor in question does not have a long-established reputation in the community, you may want to look elsewhere. It is not unusual for unsavory characters to move through towns in order to con homeowners into paying for siding jobs that never materialize. Ask for too much up front – If a siding contractor asks for too much money up front or cash-only payments, tread with caution. No professional contractor should need money up front to finance the project, and if they do, they’re likely not the most responsible company to turn to. No reviews – Siding contractors should have online reviews and testimonials from past clients that you can reference, as well as images of their work. Check websites like the Better Business Bureau to see how credible they are. If you’re looking for siding contractors in the Madison, WI, area, simply turn to the experts at ABC Seamless Home Specialists. We are a family-owned company that has been serving local homeowners since 1975, and we have an upstanding reputation in the community because of the excellent service and results we provide – as evidenced by our A+ rating with the Better Business Bureau. 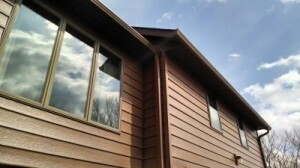 For additional information about our siding contractors, contact ABC Seamless Home Specialists today. We are proud to serve homeowners in the Madison, WI, area, and beyond.